“Long noted for safety and more recently for styling as well Volvo has been a solid contender in the entry-level luxury sedan market with its S60 lineup for several years now. The automaker bolstered its position in 2015 when it rolled out its new family of strong and fuel-efficient turbocharged engines. For 2016, Volvo is better able to challenge leading German rivals in this class with the debut of the roomier S60 Inscription models. The 2016 Volvo S60 is a comfortable and well-behaved luxury sedan whether you go with four, five or six cylinders under the hood. The T6 Drive-E’s engine is impressively smooth, and you’d never know that it’s packing both a supercharger and a turbocharger. The older inline-5 and inline-6 engines aren’t as fuel-efficient, but they’re still plenty powerful, and the all-wheel-drive system apportions power to individual wheels to maximize traction and grip around turns or on slippery roads. 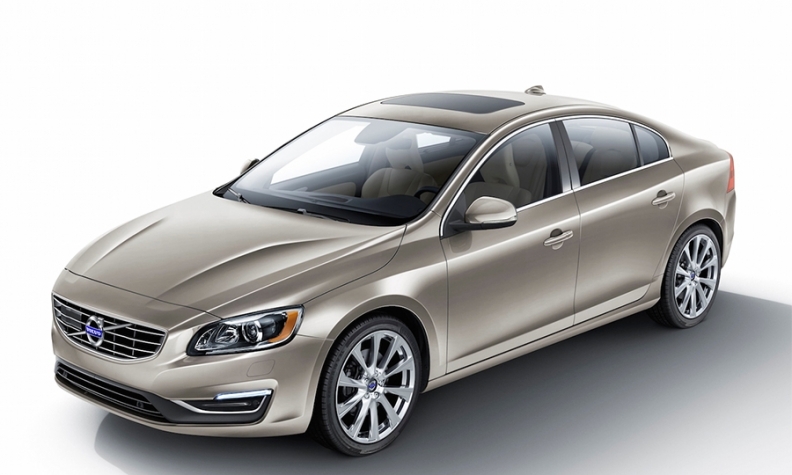 The S60 Inscription is only available with the T5 trim, meaning power is provided by Volvo’s tried-and-true, 2.5-liter, five-cylinder engine. The mill cranks out 250 turbocharged ponies and 266 pound-feet of torque, and mates to a six-speed Geartronic automatic transmission with Sport Mode. Both front- and all-wheel-drive configurations are available. “Our first stint behind the wheel came on a particularly twisty section of Highway 1 well north of San Francisco. Once the traffic cleared out and we could open it up a little, we found the S60 Inscription remains fun to drive, not unlike the regular S60. You really have to push hard to induce understeer, and up till that point, you have a well-controlled 3,433-pound luxury sedan at your fingertips. The standard Corner Traction Control -- Volvo’s name for torque vectoring -- helps you approach but not surpass the limits of adhesion. Body roll is minimal, and there’s even some side bolstering to keep your Chinese/American/Swedish torso upright and in place. The rest of the driving, on straightaway, flat Highway 101 for instance, was downright coddling. We liked the seats, in particular -- very comfy. And the S60’s back seat is exactly 3 inches nicer than before.